Places to Visit in Entebbe Uganda - All you need to know about Entebbe. Entebbe town is Uganda’s gate away town being the home to the only international airport. Anyone flying to Uganda will obviously go through Entebbe town before they head to the capital or any other wildlife or safari site in Uganda. Entebbe is nestled gracefully at the shores of the largest fresh water body in Africa- Lake Victoria. 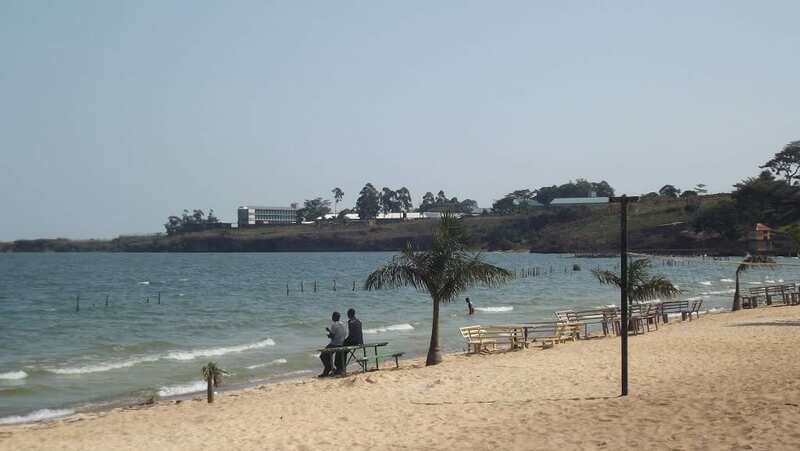 Entebbe is one of the place Ugandans think of when it comes to beach holidays. 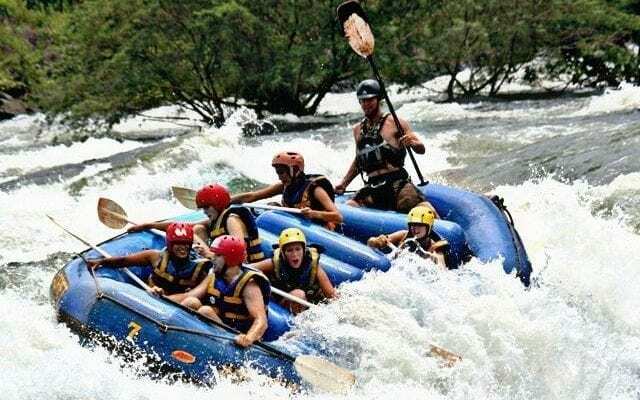 Apart from beaches and excruciating views, there are a number of activities that you can participate in whilst Entebbe. Below we have listed some of the places you can visit or activities you can participate in. A walk through Mabamba swamp is one of the best places for birding especially since it is one of the places where you can find the commonly sough shoebill stork bird. You can have a short boat ride through the papyrus reeds to an open area that is flat and grassy as well. That is one of the best spots where you can expect to find the Shoebill because it is regularly seen around there. 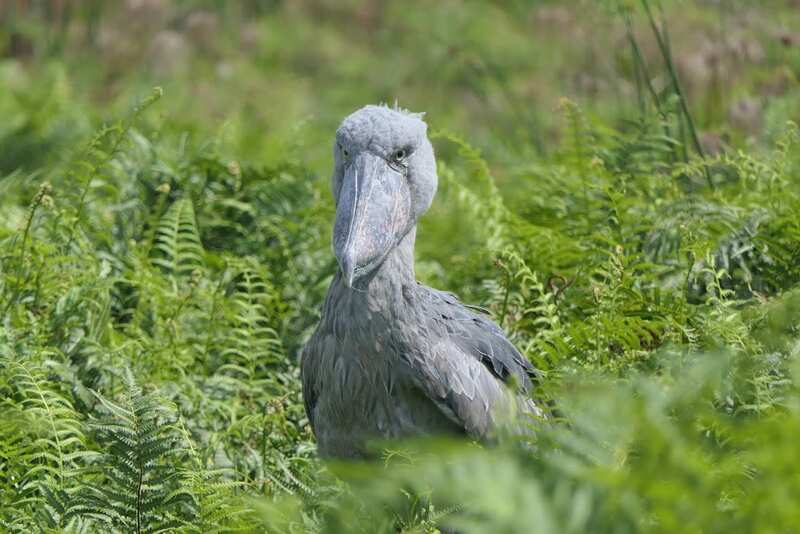 If you are searching for the shoebill stork, it is commonly seen in the morning because this is the time they are out stalking the mudfish and frogs which are their main prey. Sometimes, they keep wondering around the whole day. To catch their prey, they can stay still watching their prey for as long as it takes and then strike at a very high speed the moment they get the chance. Mabamba wetland, also has some wildlife animals like antelopes and some monkeys for your view . You can choose to drive to Mabamba wetland by road however, it will be a lot more fun if you took a boat ride across Lake Victoria and this will give you the chance to see other different bird species that you may not find at Mabamba as they fly across. UWEC was originally referred to as the Zoo is setup along the shoreline of Lake Victoria in Entebbe. It became UWEC in 1994 in an effort to boost the then Entebbe Zoo and also start educating all Ugandans about the importance of wildlife conservation. UWEC is one of the places where you will find some of the animals that you might not easily find anywhere else in the country for example, the shoebill stork birds, the peacocks, rhinos of which are not commonly seen in other parts of the country. It is a home for animals that have been rescued say from illegal traders and need rehabilitation. You can visit UWEC for an opportunity to see lions, leopards, pythons, chimpanzees and so much more. Ngamba Island is best known for being a home to a large population of chimpanzees. Most of them are orphaned chimpanzees while others were simply rescued from traffickers. There are over 50 chimpanzees living in this sanctuary and it is the one place in the country where you get to meet the chimpanzee at a really close distance. Unlike those in the forests like in Kibale or Kyambura, you are allowed to feed these chimpanzees at Ngamba and you will be provided with their food and you help feed them. 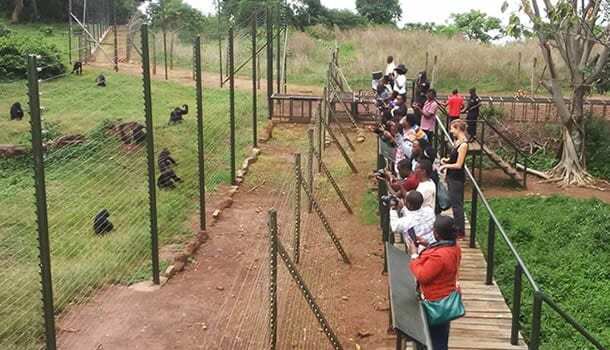 Ngamba chimpanzee sanctuary is among the best primate sanctuaries across Africa that is why it should be on the list of the must visit places while staying in Entebbe. With the help of well trained staff that work at the sanctuary, you can learn all you need to know about these chimpanzees. From the viewing platform, you will watch how they interact with and behave towards each other. While a trip to Ngamba island is mainly known for the chimpanzees, there are other activities you can do if you choose to visit the island, for example you can go for the sunset cruise, visit one of the fishing villages or even just do a boat ride around the island. Volunteering options are available at the Island. One of the best places to visit especially if you love reptiles, is the Reptile Village in Entebbe. This is the only one of its kind in Uganda and it’s a sanctuary for different reptiles like the popular Gaboon Viper, there are forest Cobra, lizards like the Nile Monitor and the Leopard Tortoise as well as the Jacksons Chameleon, among so many others. This reptile village was mainly set up to educate people about the beauty and how they can benefit from the existence of these reptiles. However, it was also aimed at helping people overcome that fear most people have for reptiles. Reptiles too deserve to live and be protected like other animals and birds. This reptile sanctuary opens out into the swampy area which is an ideal place for birds, reptiles, monkeys and other animals to breed as well as feed from. Most of these reptiles are rescued from illegal dealers from different parts of Uganda and then they are given home where they can be safe. Entebbe is one place in Uganda with the highest number of beaches in Uganda. You can choose any of the so many different beaches in the area to go have some fun. Despite the fact that , the beaches do not have white sand, you can still swimming some of the waters. Some of the beaches you can choose to visit may include Botanical beach, Imperial resort beach, among others. There are also other beaches that are great happening places for those that want to go have fun. These places play music back to back for people to enjoy as they relax. There is often lots of food and drinks making your experience fun. You can also taste tilapia with French fries at any Ugandan beach. 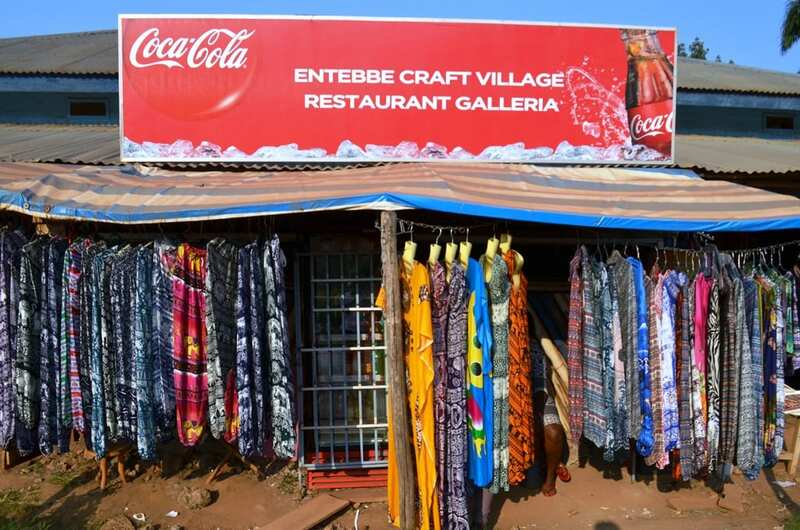 Entebbe has a great number of shops and currently there are two famous malls ( Victoria Mall), that you can visit for shopping whilst in Entebbe. There malls feature a number of restaurants with international cuisines and for craft lovers that are a number of craft shops that you can visit. We always recommend that you obtain local currencies from the forex bureaus to ensure a smooth shopping experience within Entebbe. Sitting on the 40.7 hectares of land in Entebbe is the Botanical gardens bordering Lake Victoria on the Northern shore. The Gardens were established in the 1898 and have recently been refurbished and re-opened for tourists. the gardens can be accessed close to botanical beach hotel, and they house a great number of flora and fauna. A visit to the botanical garden will reward you with animals like the colobus monkeys plenty of birds and also plenty of exotic plants and trees. A half day visit to the botanical gardens before flying to Bwindi for gorilla tracking can be fruitful. If you wish to experience night life in Entebbe, there are a number of restaurants, bars and clubs that open till in the morning. They serve all kinds of drinks including alcoholic and beverages, the Mojitos and spirits, and the different tasty beers that define Uganda. So, you have a variety to pick from. 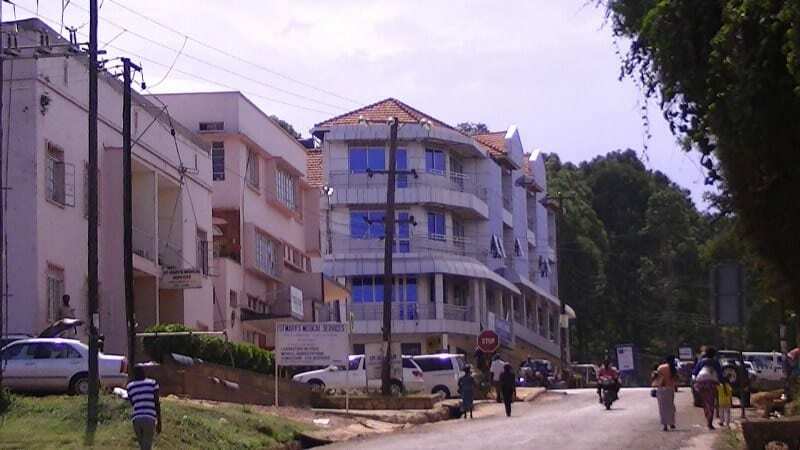 Generally, spending a day in a clean and organised Entebbe town is just perfect, you can just choose to take a walk around using your google maps. Don’t be bored, don’t stay in room, move around and enjoy the surroundings that Entebbe offers due to its location.